Buzz, Boots and Berries: The Young Hopeful Hits 1K! It's been a minute. How are you!? Since we last talked, I've gone on Spring break and have gotten back into the swing of things at school. 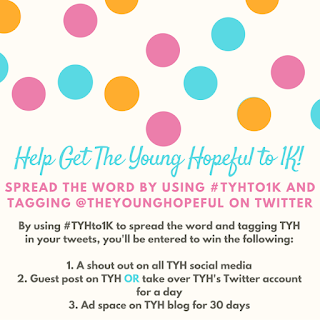 More importantly, The Young Hopeful has hit 1,ooo followers on Twitter! For those unfamiliar, I am currently The Young Hopeful's social media editor. 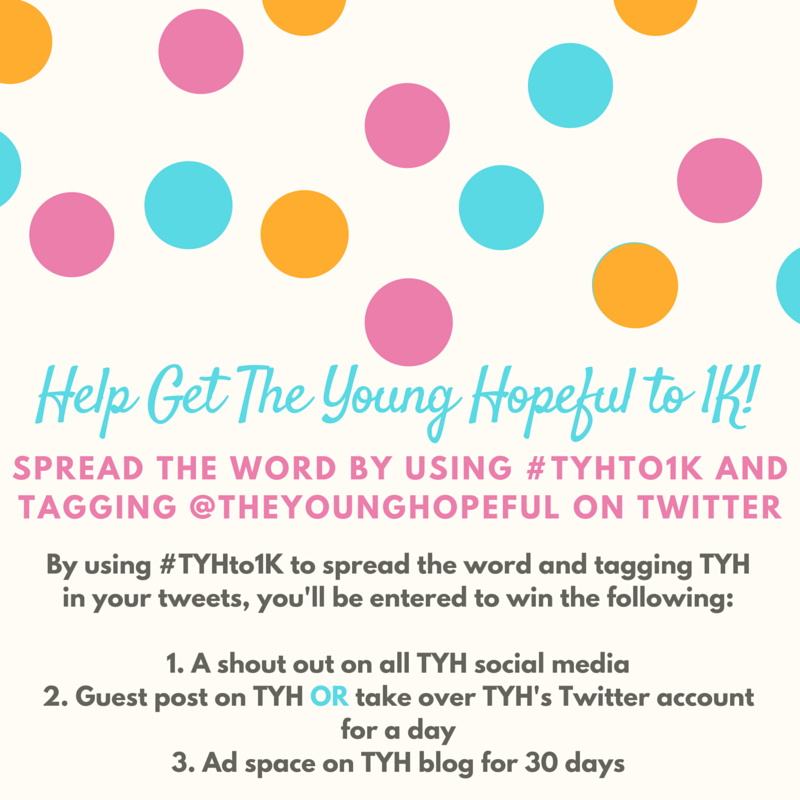 The Young Hopeful is an awesome blog filled with college, career and life advice. Creating a hashtag, contest and overarching excitement to hit 1K on Twitter was a fun challenge. I am in love with every one of our fellow bloggers, college students and followers! Alright, so why am I posting this? I'm posting this not only to update you on my recent activity, but also to show that it's important to celebrate what you've accomplished! Big or small, take time to highlight the cool things you're doing. I feel like we don't do that enough. And we should- because what you're doing is great. I can guarantee it. Ps- If you're not following The Young Hopeful you should. I mean, I am a bit biased... but TYH team has loads of fun producing content for our readers! Join the conversation and never miss an update! Follow TYH here.